Previous research has highlighted the importance of games and game based learning in the area of language learning and teaching. Although games and game based learning are not new concepts in education, digital games have continued to attract the attention of researchers especially with the advent of web 2.0 technology. People are now exploiting digital games in many areas of education and language teaching. With the given reviews of up-to-date papers on the subject, this paper intends to provide a brief overview and a fresh starting point for practitioners in the field of digital game based learning in the area of language teaching and learning. Have you ever heard of Flappy Bird, or have you ever played Candy Crush? These games and many more have been infiltrating our day-to-day lives in recent years. Not only teenagers but also adults play these games, so wouldn’t it be perfect to integrate these games into our language learning process and make it more fun? In the age of technology there is a growing need to keep up with current developments in education and this need is particularly visible in the area of language teaching. Although most language teachers are trained in the traditional way, they like the idea of Continuous Professional Development (CPD) and this inspires them to search for new teaching approaches. In the past decade – before the Internet became mainstream – the preferred approach was to integrate traditional games into education; for example, ball games in the warm up phase of lessons, or Cuisenaire rods in all phases of the lessons to promote their students’ language learning, while teaching parts of speech, sentence stress etc. With the advent of technology and the Internet, digital games started to replace the traditional ones. In many countries, people spend much of their leisure time playing video games; for example in Finland, 84 per cent of first graders play computer games at least sometimes, 31 per cent everyday (Hirvonen, 2012). In the light of such results, it is inevitable that we should integrate digital games into education. It is a true 21st century learning revolution based on fun and engagement, with the coming together of serious learning and interactive entertainment through a newly emerging and highly exciting medium (Prensky, 2001). Previous studies have shown that educational video games can enhance the learning of students (Ebner & Holzinger, 2007) and increase their intrinsic motivation, which improves learning performance in the absence of any apparent external contingency (Deci & Ryan, 1980). When it comes to language learners, it is an undeniable fact that motivation plays a crucial role in the language learning process. Digital game-based learning (DGBL) is a competitive activity in which students are motivated and set educational goals intended to promote knowledge acquisition (Erhel& Jamet, 2013). A recent study shows the positive relationship between the level of motivation and the learning scores in a digital game based learning environment (Liu, Horton, Olmanson & Toprac, 2011). Digital game-based learning is quite a new learning strategy developed by Marc Prensky and is a very promising one among other learning strategies. Actually all learning strategies are specific actions taken by learners to make learning easier, faster, more enjoyable, more self-directed, more effective, and more transferrable to new situations (Oxford, 1990). 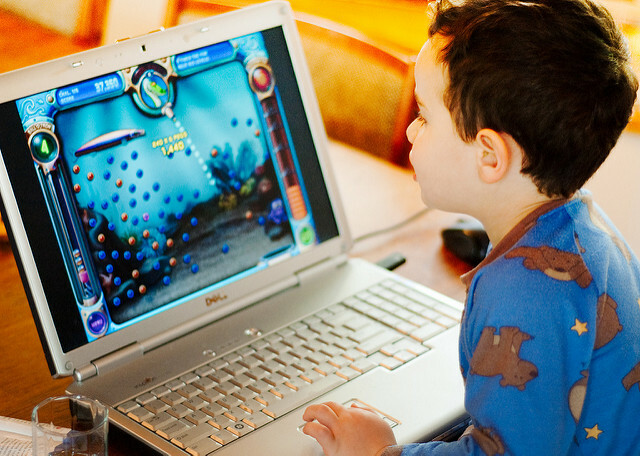 Owing to the rapid advancement and popularity of computer and communication technologies, researchers have predicted that more technology-based learning will occur and educational computer games could play an important role in education (Hwang & Wu, 2012). This paper, which analyses the status of digital game-based learning in the area of language teaching, can provide important data on the subject and help practitioners to search through proper articles on the subject. The articles were investigated and compared in terms of certain variables including their types of research, their specific area of research in terms of DGBL and language teaching, school level and their sample sizes. The purpose of this content analysis study is to show the latest trends in DGBL in the area of language teaching from various research papers which were published in scholarly journals from 2009 to 2015. Thus this content analysis can provide guidance for future research into game based learning. 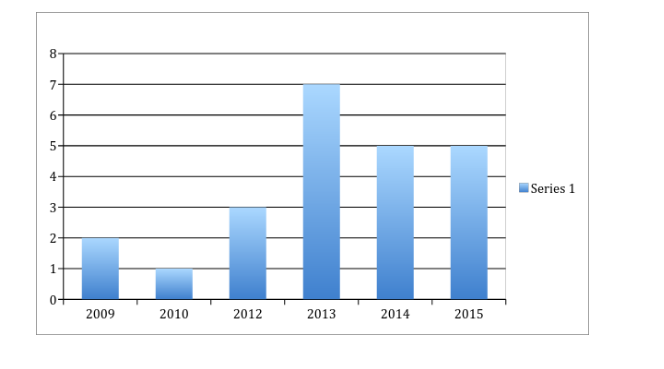 Figure 1 shows the number of DGBL articles published from 2009 to 2015. It is found that within this review DGBL research showed a big leap after the year 2013 and studies in this field have become more and more important in the past three years. As Hwang and Wu stated earlier, the rapid advancement and popularity of computer and communication technologies in the last decade, especially in the last five years, caused an increase in the area of DGBL research in ELT. (Hwang & Wu, 2012). 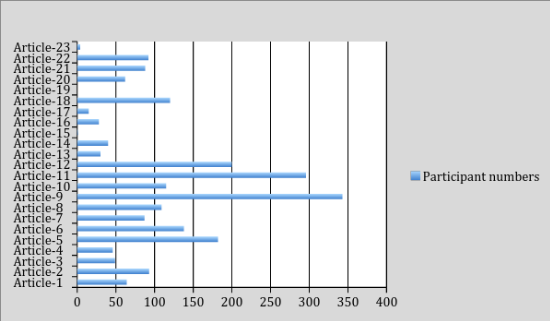 Figure 2 presents the major contributing countries of DGBL articles are Taiwanese authors in 7 articles, followed by American authors (6) and the other nationalities followed these two groups of authors. 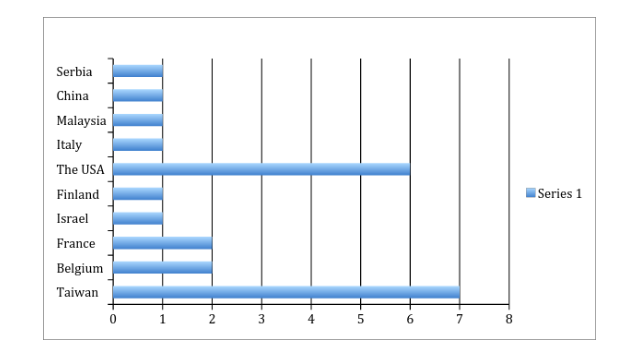 The number of participants in the studies I reviewed was mostly below 100. In the study number 9, done in France, the biggest number was reached: 343. The study is completed with 343 Master degree students. There was also a discourse analysis study, which was applied to only one student. 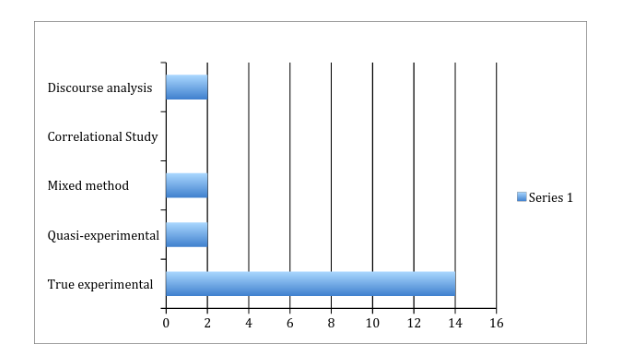 As Figure 5 demonstrates the school levels of the participants in the studies are diverse. 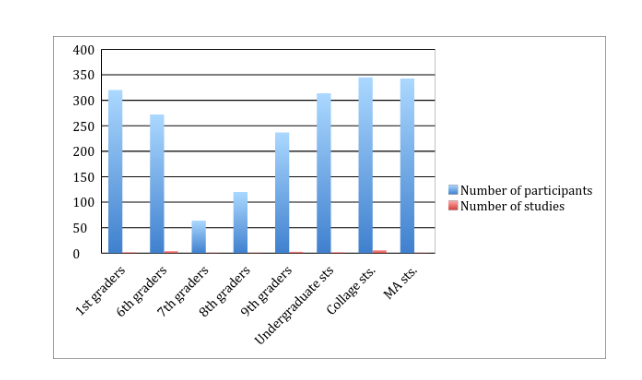 The studies mostly conducted with secondary school students. However there is a great number of participants from university level students as well. This paper reviews the advancement of DGBL research from 2009 to 2015 based on the articles published in different journals. It is found that the number of articles has significantly increased during the past 3 years; moreover, researchers from different countries have contributed to this field in recent years, lthough Taiwanese and American authors have taken the lead. These findings could be good references for those who plan to contribute to DGBL studies, especially in the area of language learning and teaching. Beyond that, analysis results such as these could be helpful to policy- makers in government, professional organizations and especially language schools and curriculum designers in shaping policies to support the development of educational games in language teaching. See full list of references and sources here.